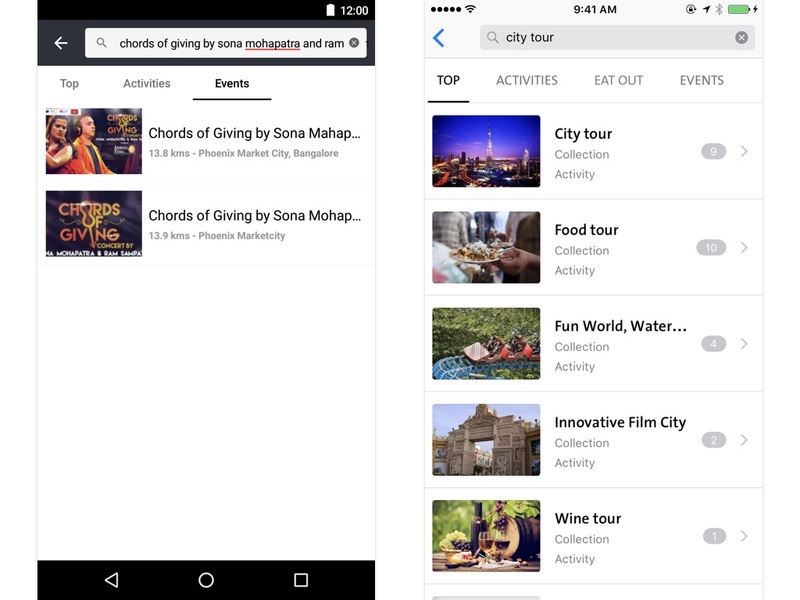 It’s been just about 6 months since we introduced Cleartrip Local. We’ve made many small but notable changes to the product since then. Most of these are under the hood to improve the product’s performance and your experience with the product. But we’ve also been quietly at work, on a bunch of new features for the product that starts rolling out now. We obsess on dogfooding our products, and realised very early on that we need to give you a better and easier way to find things-to-do in your city. When you know what you want or when you just want to do a quick check, endless scrolling would be of little help. Hence, search. Type in what you want to do and pick from the results to plan an exciting day. It will take less than a second! You can access search from the top toolbar in iOS and through a floating action button on Android. While you can access search from any tab on the app, the results are not limited to that specific product. So, for example, you could search for lunch at Punjabi by Nature while browsing upcoming Events in your city. As you type, we show you the closest keyword matches against your input. You can pick from the suggestions or simply hit the search button. 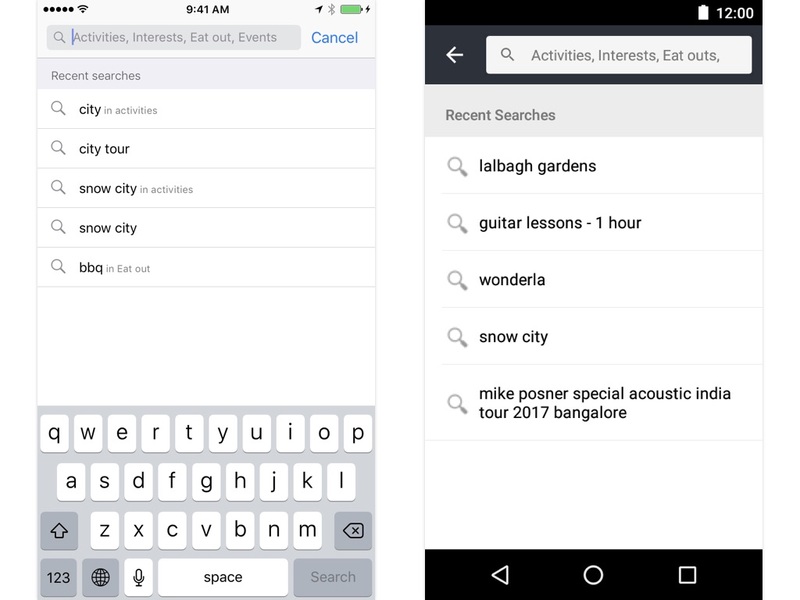 To aid memory, your most recent searches show up on the search screen below the search bar. A quick way to search for something again. We think search will be most useful in finding something that you might have seen and liked but can’t find it again or may have forgotten to add to your wishlist. Behind the scenes, we use an instance of Elasticsearch to power our search for Cleartrip Local. The entire content of Cleartrip Local is indexed in Elasticsearch. Each document in the index has “suggestor fields” that are used to match the keywords you type. The order of the autocomplete suggestions and the results are determined by our search algorithm that assigns different weights to the various “suggestor fields”. Our standard Elasticsearch cluster of three machines with 3 cores and 6 GB RAM results in an average response time of around 50 ms. Really fast at most times, unless there is a network bottleneck. This is just the beginning of search. We are continuously working on improving the algorithm to deliver more relevant results and help in effective decision making. 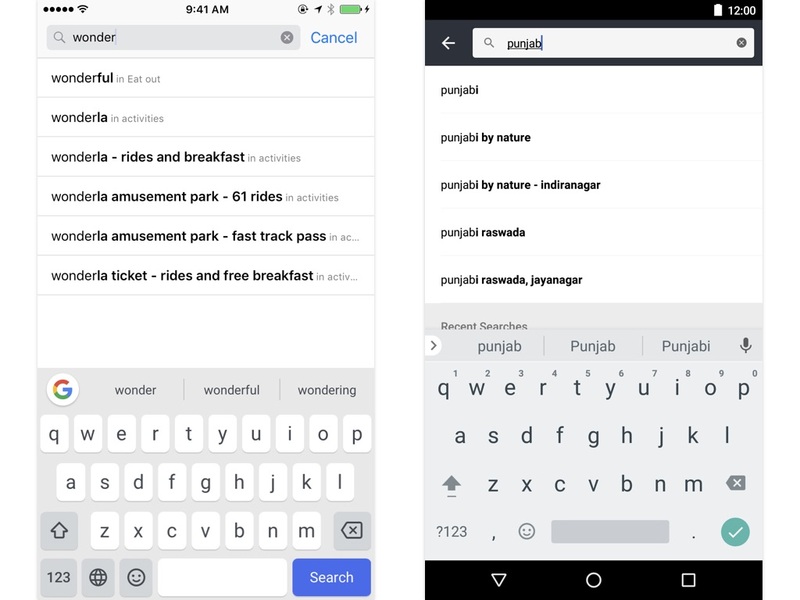 We are also working on a bunch of other features around search that’ll make your experience with search even better. Stay tuned! We’d love you to spend some time searching on Cleartrip Local and tell us what you think. Especially when it doesn’t work for you. Reach out to us at mobile@cleartrip.com with your feedback.